Sanibel Island is a sports enthusiast’s dream destination. From epic waterfront golfing, to kayaking intricate mangrove tunnels, to sunny days on the beach, Sanibel Island is a go-to spot for outdoor activities. One of the most popular things to do on Sanibel is to play tennis, and, fortunately, there are many places to play. There are public courts, golf and tennis clubs, parks, and organizations that facilitate everything from Sunday afternoon rallies to competitive games on and near Sanibel and Captiva islands. Tennis is one of the best active things to do on Sanibel – the perfect way to have fun and get a bit of exercise before an afternoon exploring the beaches. So, what do you need to know about tennis on Sanibel Island? If you prefer a more formal environment, the best place to play tennis on Sanibel Island is the Sanibel Recreation Center. Here, you can enjoy activities year-round, including swimming, fitness classes, yoga, and other sports. Annual memberships are available, but visitors can also play at a daily rate. The Sanibel Rec Center is a great place to improve your game in a relaxed environment. The center is located right at the edge of the massive J.N. Ding Darling Wildlife Refuge towards the middle of the island. Use the address of 3880 Sanibel Captiva Rd., Sanibel, FL 33957 to locate the center in your GPS. Both amateur and competitive players can really improve their skill and passion for the sport through a tennis and golf club. To improve your game, test your strategy and accuracy on the courts of a high-end sports club that offers more serious games. One of the best places to play competitive tennis on Sanibel Island is at the Beachview Tennis Club. Located in the heart of Sanibel, this premium club has well-maintained, all-season clay courts and scheduled round robins. If you need professional assistance for repairing gear or getting new equipment, you can use the on-site pro shop. The club also accepts both seasonal and one-time visitors. Tourists on Sanibel vacations are known to frequent the courts. The Dunes Golf and Tennis Club is an excellent alternative. Located at 949 Sand Castle Rd., The Dunes offers a full-service pro shop, weekly round robin tournaments, concierge services, rentals, private instruction, and more. Sanibel vacations are never complete without stopping by a club for a game of tennis. 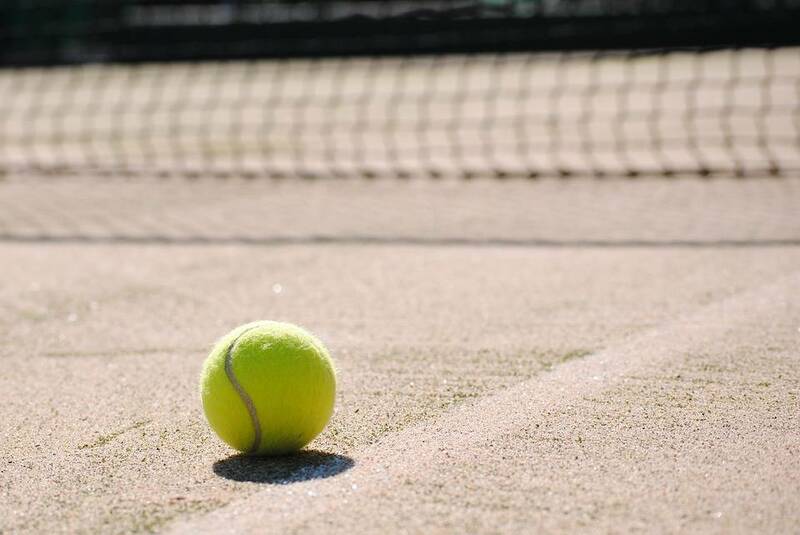 Sundial Beach Resort & Spa has a series of beautiful clay courts that are available to the public for a fee. Your booking includes all equipment. Sundial Resort also has membership options for residents and seasonal visitors. If you’re staying on Captiva Island, you can also find nearby courts where you can play a game or two in between other vacation activities. While Captiva doesn’t have as many options as Sanibel, there are still a few places to play tennis on Captiva Island. The finest club on the island is probably Blackwood Tennis. But, there’s a catch: you have to be a member or staying at the resort to use the courts. It’s a great option for long-term residents and resort guests, but not necessarily for other visitors to the island. Alternatively, the North Captiva Island Club offers excellent courts on the beautiful northern tip of the island. Visitors to the island are welcome to use their two courts for a small member fee. If you’re planning a drive to the mainland, you may want to check out local parks for free public courts. Check out Burton Memorial Park, which features three fields, a basketball court, a large picnic area, and, of course, tennis courts. Get a casual doubles game going with the family, or practice solo in this low-stress environment. The park is located at 1502 NE 3rd St., Cape Coral, FL. There are a number of places to play tennis on Captiva Island and Sanibel Island, including community recreation centers, and member clubs. Sanibel vacations are not only a great place to enjoy the natural beauty of Florida’s coast, but also to improve your game.